Real leaders have backbone. They admit the uncomfortable truth that others are not willing to even see. They have a passion to want the truth and confront reality head-on. It’s not just the responsibility of a leader to see and tell the truth. It is part of their soul, their moral fiber. Any compromise destroys trust, respect and credibility with themselves and from others. The most important person to tell the truth is to Yourself. We often think about the importance for leaders to tell the truth to others within their organizations. Yet the most important, yet hardest, aspect of leadership truth telling is being rigorously honest with yourself. It takes guts, personal awareness and humility to tell the truth about yourself to yourself. When I work with leaders, my first goal is to help them get rigorously honest with themselves. I have found that when leaders are willing to look at how they they avoid or deny the truth, that mirror of truth will liberate them to become the authentic, powerful leader they are meant to be. 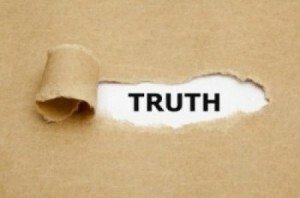 Not sure how to uncover your truth as a leader? Take inventory of the following 7 truths to get real about the present and to fuel your leadership changes in the future. Truth 1: Either you are fighting for reasons or fighting for results. As a leader, there is no middle ground in what you stand for. You can stand for reasons or you can stand for results. You CAN”T stand for both. Real leaders fight for the results they want. They are bold, committed and persistent about their desired outcomes. Mediocre leaders fight for reasons why they don’t achieve them. When they say “yes” to reasons, they are essentially saying “no” to results. Which are you fighting for right now? When you lead a meeting, to what extent do team members give reasons why they did not keep their commitments or reach their goals? Have you created an organizational culture of strong accountability? Truth 2: Either you are creating your future or reacting to it. Real leaders are masters at creating their future because they are internally driven and decisive about what they want. They take responsibility for all their outcomes and see themselves as the doers of the world. Mediocre leaders are externally driven and at the effects of their environment. They believe that they have little control over their outcomes and that things happen to them. 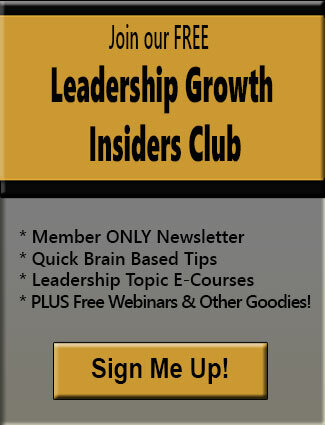 Does your organization find itself in perpetual crises? When a negative event happens – like loss of a major customer, do you find yourself in panic or do you seek new options to achieve your goals? Does your organization have a clear vision in which every employee knows how he/she contributes? Truth 3: Either you are playing to win or playing not to lose. Underlying this truth, there is a pivotal assumption that realleaders get and mediocre leaders don’t. What is that pivotal assumption? It is that you have a clear understanding of what winning is. Mediocre leaders never even ask themselves questions like … where do we want to win? Where can we win? What does winning look like? Once you have a clear concept of winning, how do you know if you are playing to win vs. playing not to lose? The answer is: your identity. Do you see yourself as a winner even when you fail? Does the thought of risking to win trigger fear in you? Do you have a winning strategy to reach your company’s goals? Truth 4: Either you are growing or you are stagnating. For your company to grow, you must grow as a leader. When you stagnate, so will your company. It’s that simple. Real leaders do the things that others think they cannot do. They continuously “push the envelope” in what is possible. Mediocre leaders avoid discomfort. I mean really avoid it. Discomfort for them triggers fear and threatens their sense of safety and survival. Do you push yourself out of your comfort zone daily? Are you comfortable with discomfort? Do you thrive on challenges or shrink from them? Truth 5: Either you embrace conflict or you avoid it. Conflict has become a dirty word in the business world. Mediocre leaders avoid conflict at all costs. It’s viewed as painful, scary and a win/lose situation at best. As a result, their organizations become homogenous and filled with “yes” people. As Jim Collins, author, Good to Great, concluded from his extensive research, the #1 difference between good and great companies is that the leaders of great companies fostered healthy conflict to set direction and create innovative solutions for the future. Do your employees ever disagree with your decisions or viewpoints? Is there pseudo-harmony within your team? Do you tend to placate others whose viewpoints are different than yours? Truth 6: Either your actions are moving you “toward” or “away from” your goals. All behavior is self-motivated. Your actions are motivated either to move toward something positive or away from something negative/painful. Real leaders are “toward” motivated. There is always the next horizon to reach. Mediocre leaders tend to be “away from” motivated, driven by negative beliefs or secondary gains. Their primary focus is on what they don’t want, rather than on what they want. Are your actions mainly focused on reaching your goals or eliminating problems? Are any of your actions (such as, checking emails, going to certain meetings, etc.) really a distraction and taking you off-course? Are you focused more on what you want or what you don’t want? Truth 7: Either you are truly leading or merely following. Real leaders understand that leadership is a way of thinking and a way of engaging with others. They take bold steps into the future and hold themselves and others to high standards. They see themselves as a leader of leaders and their job is to develop other leaders. Mediocre leaders seek recognition from their team over respect, decide through consensus and deflect responsibility for results and problems to others. Is most of your day spent on completing tasks or growing your people? I know that admitting the truth about yourself can sting in the moment. And avoiding the truth may seem like the easier route. In reality, hiding from the truth is like having a 10,000 lb. weight on your shoulders that drags you down. It holds you and your organization back. It keeps you in stress and struggle. Are you ready to dump the baggage? focused on creating the future? growing and getting out of your comfort zone? leveraging conflict to create innovative solutions? taking actions that move you “toward” our goals? Only when you admit reality can you seize your true leadership power and take charge of yours/your organization’s fate. Which of these leadership truths is holding you back the most? What support do you need to have a breakthrough? Posted by Denise Corcoran on November 11, 2014 in Accountability, Beliefs, Emotional Mastery, Goal Achievement, Leadership Development, Leadership Performance, Mindset, Organizational Performance and tagged accountability, conflict, creating your future, emotional state, inner game, leadership performance, mindset, motivation, overcoming obstacles, playing to win, results, truth.